The Carpathian Mountains have historically been a stronghold for European predators such as bear, wolf and lynx and the golden eagle. In the last several centuries particularly wolves and bears were almost eradicated in Europe and so surviving population of the carnivores become an asset valued by many Europeans. The predator populations were dramatically reduced all over the Europe but significant populations of these animals survived particularly in Carpathian Mountains in Slovakia, Poland, Ukraine and Romania. The suitability of the Carpathian environment for large predators is partly due to its extensive land resources and rugged topographic. However, cultural grazing is an important part of the local traditional lifestyle. Since the 17th and 18th century grazing of domestic animals such as sheep, cows, goat and horses became an important part of the traditional way of living for local people. Nevertheless, the balance between grazing and the acceptance of wild predators has been difficult. Usually, just like in many other western European countries, it was carnivores who suffered. This competition between shepherds and carnivores large in Carpathian Mountains region continues to this day. 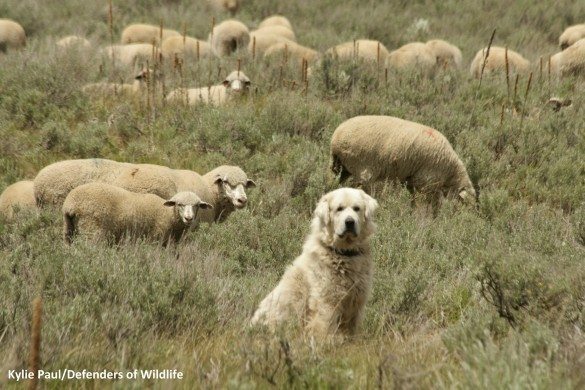 Land managers and shepherds for decades see very often the population of carnivores as a major threat to their prosperous life and use any available argument and tool to reduce and /or control their population. Just late in the 20th century a slight change in the public opinion was noticeable when European biologists showed that the missing predators are a fundamental element of European natural heritage. However, even today when wolf, bear or lynx are protected in the majority of European countries these animals are not always welcome, particularly in the vicinity of settlements or summer pastures in the remote Carpathian regions. Recent experience from Retezat National Park, Romania http://cronicavj.ro/wp/?p=28035 is just another example of this situation and challenge we all have to face on if we want to protect at least the last fragments of European wilderness.